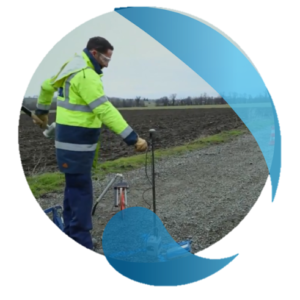 SOL SOLUTION is able to detect underground networks using its ground-penetrating radar and radiodetection systems, in compliance with norm NF S 70-003-2. Sol Solution has inspection cameras for damp networks, making it possible to carry out in house network inspections. SOL SOLUTION is a member of FNEDRE, the Fédération Nationale des Entreprises de Détection de Réseaux Enterrés (National Federation of Underground Network Detection Companies). Since the implementation of the law governing works near underground networks, project managers are obliged to carry out an inventory of the underground networks that exist within the area of any planned works. In the event that there is insufficient information on networks (sensitive networks with a B or C quality classification), further investigations may be carried out in order to ensure the safety of personnel working on site. Sol Solution is able to check compaction of embankments and trenches in compliance with norms (NF 94-105 and NF 94-063). Sol Solution helps with the approval of sanitation networks by offering compaction control checks (NF P 94-063 and NF P 94-105), leak tests (NF EN 1610 and NF EN 805), and televisual inspection (NF EN 13508-2 +A1). Regulations require new sanitation networks to undergo preliminary testing by an independent, qualified body, selected by the project manager. Sol Solution holds the Cofrac N°3-0624 rev.2 accreditation, granted by the Inspection department of the relevant environmental activity area. This means that the Sol Solution quality system for this type of inspection meets the requirements of norm NF EN ISO/CEI 17020:2012 as a type A inspection organisation, i.e. an organisation that exclusively offers independent third party inspection services. Sol Solution makes it possible for you to carry out additional analyses in order to ensure that the materials used meet the required specifications. 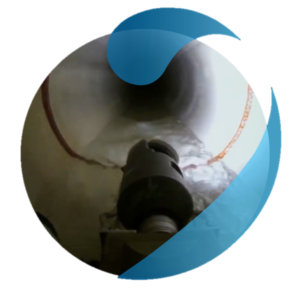 Sanitation network diagnostic services using televisual inspection of pipelines are also offered by this service. 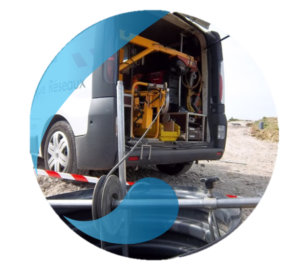 When an anomaly is detected within a sanitation network, we offer pipeline companies leak detection services in order to optimise their recovery works.